Resurfacing or Replacing - Paving Professionals, Inc.
Resurfacing or Replacing Asphalt Pavement - What is BST? Many times, property owners discuss the possibility of resurfacing or replacing their asphalt pavement. To make the right decision, you will need to understand the difference between resurfacing or replacing and the cost associated with each option. These decisions can result in additional business generated or lost opportunities. 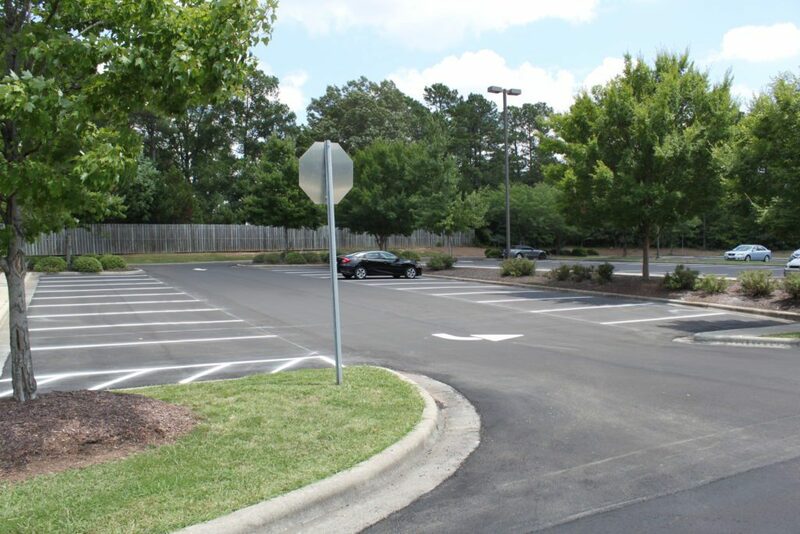 If you own a commercial lot or commercial center, remember that your customers and tenants will have certain expectations about their parking space. 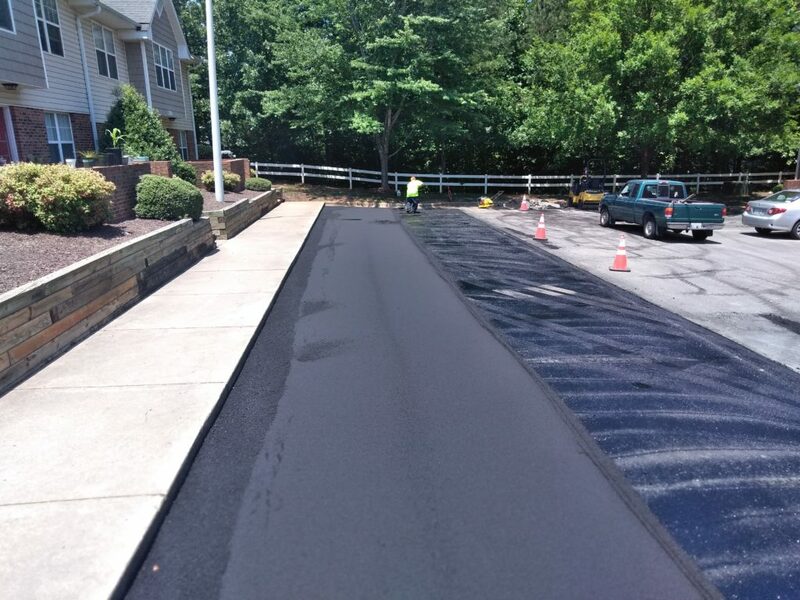 Resurfacing asphalt is a process where new asphalt pavement is placed over the existing surface. This solution is fast and can provide the most economical decision but there are drawbacks. 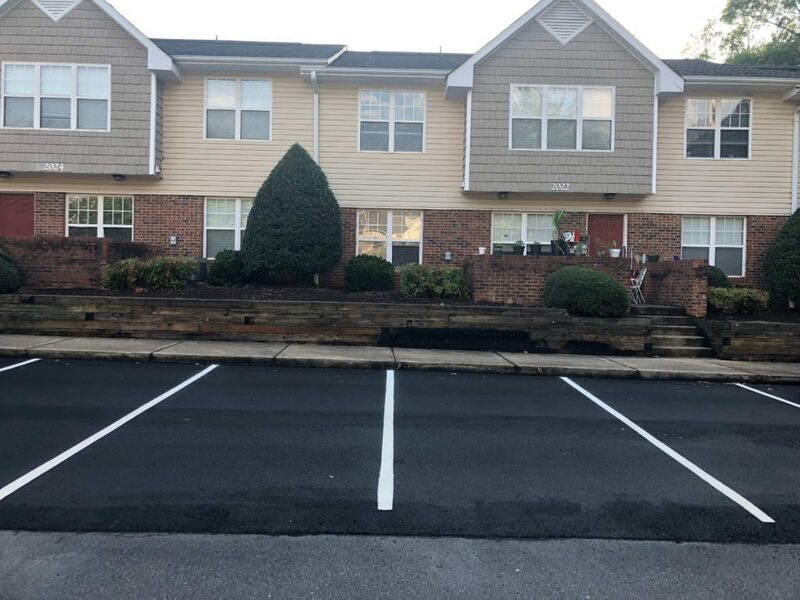 The asphalt resurfacing process can be done when the asphalt is near the end of its service life and when repairs can provide a plane without excessive cracks or sink areas. The worst drawback is that existing cracks will reflect through the new overlay quickly. We recommend and provide a cost-effective alternative to stop the reflective crack called BST, Bituminous Surface Treatment or Chip Seal. This is a heavy Tack Coat layer with a layer of #78 Stone chips placed and rolled into the tack coat. Then the minimum 1 ½” overlay is applied and compacted. This process can give a useful life comparable to a new asphalt lot at a much less cost. The best option will provide a like new smooth surface. Paving Professionals will evaluate potential issues with the subgrade or drainage problem occurring under the pavement. Mobilize a milling machine to remove the old asphalt surface. Once the old asphalt is removed, a grading crew will adjust manholes and utilities to the required finish grade elevation, so they can obtain the same elevation as the new asphalt. Our paver, rollers and other equipment will mobilize and spread the asphalt over the parking lot. Depending on the thickness, more than one layer can be applied. 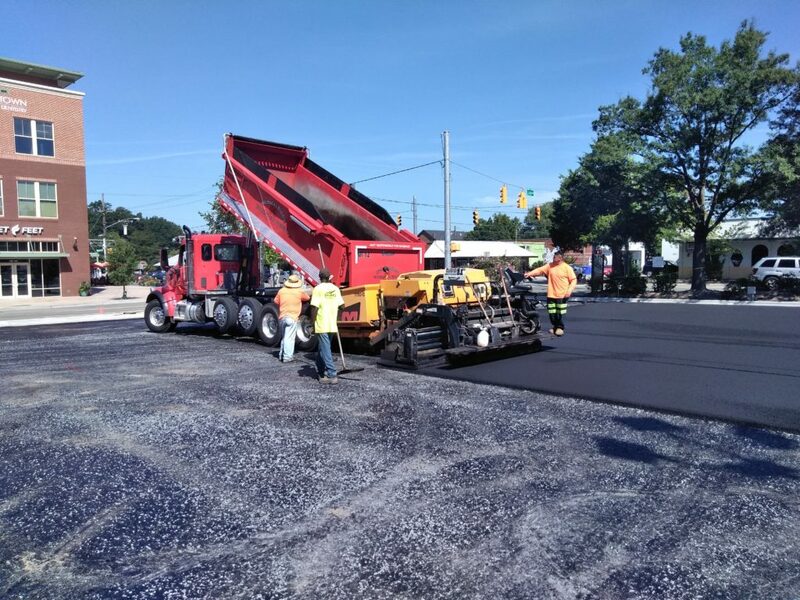 Once the pavement has been installed and properly consolidated and enough time has passed for it to solidify, then we place the pavement markings on the new surface. When removal and replacement is needed, the subgrade must be evaluated and repaired prior to new paving. The biggest advantage of a BST Overlay is that the remaining strength of the existing paving is added to the strength of the new overlay.